Despite looking like a concept car, the Citroen C4 Cactus is apparently entirely production ready. 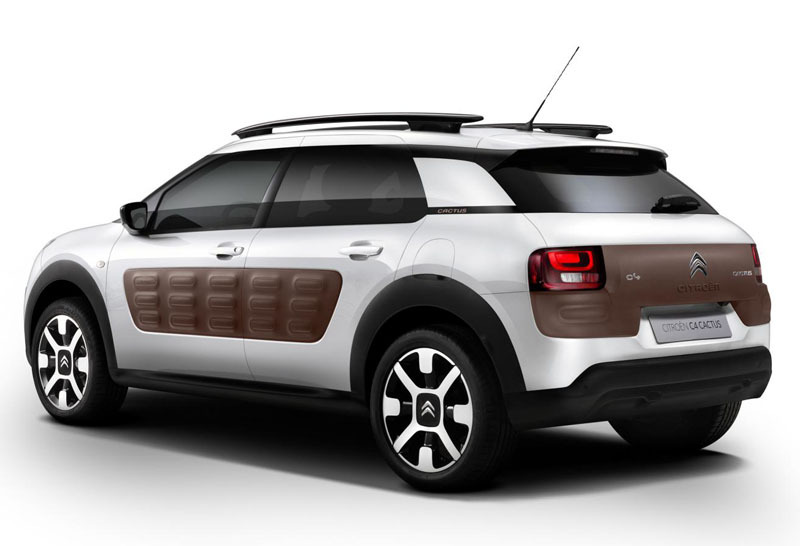 Citroen’s aims for the car were to produce something more ‘useful’ – both in terms of practicality but also efficiency. 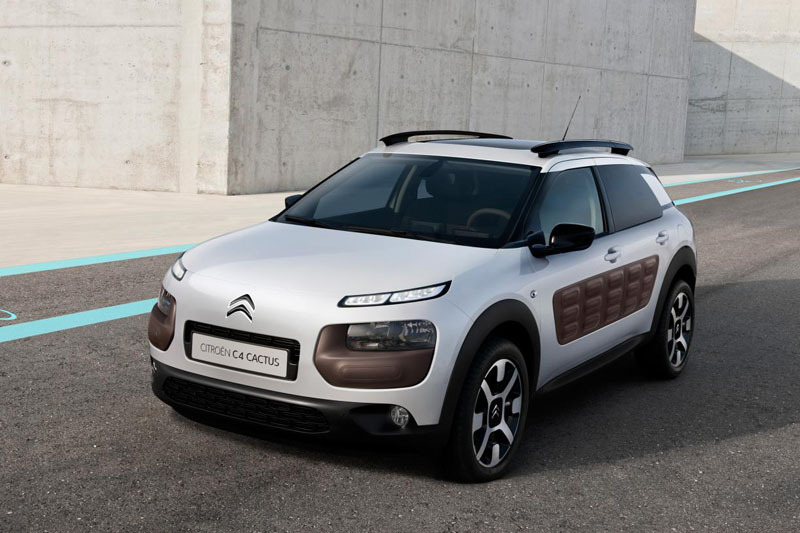 Although roughly the same size as a normal C4, with a 2.6m wheelbase and hatchback-like length and width of 4.16m and 1.73m respectively, the C4 Cactus is 200kg lighter at just 965kg, thanks to the use of high-strength steel and aluminium, plus light-weight windows and a range of small Euro 6-compliant engines. Both PureTech petrol and BlueHDi diesel engines will be offered, with emissions starting well below 100 g/km, even for the petrol units. 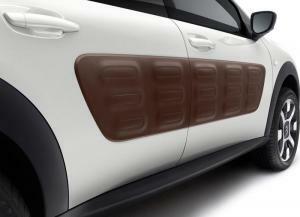 A diesel version that emits just 82 g/km and achieves 91.1 mpg will also be available. The design itself is easily described as radical, with the most obvious features being the air-filled TPU (thermoplastic polyurethane) ‘Airbumps’. 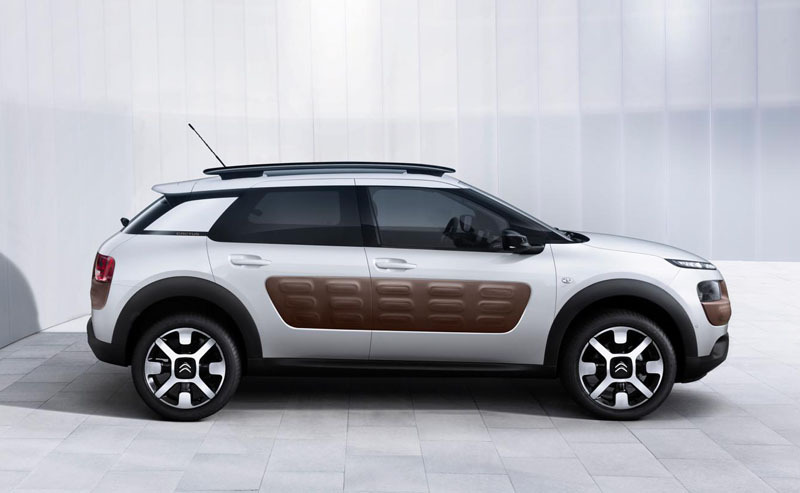 They are available in four colours – Black, Grey, Dune and Chocolate – and offer body protection for the front and sides of the Cactus. Elsewhere, the body uses simple, smooth surfaces, sharp LED running lights, floating rear quarter-lights, panoramic glass roof and functional roof bars to mark it out from the crowd. 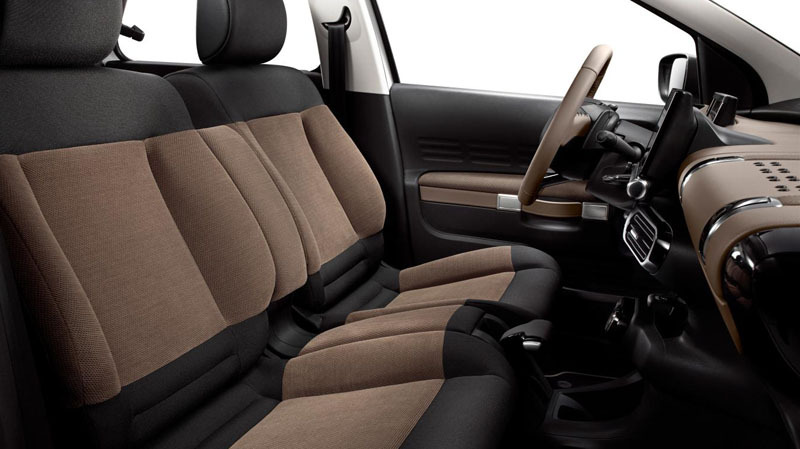 The interior features a low-set dashboard for space and visibility, with the passenger airbag relocated to the roof. Traditional instruments are replaced by a digital display in front of the driver, while a 7-inch central touch-screen governs the car’s other systems such as climate control, navigation, audio, etc. 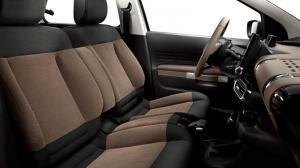 The front seats are styled to be reminiscent of a sofa, with upholstery available in a choice of three colours: Stone Grey, Purple Highlight and Habana Highlight. The boot boasts a 358-litre cargo capacity, while many of the interior features such as door handles have been styled to take their inspiration from leather luggage straps. 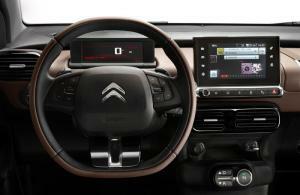 Continuing Citroen’s desire for a more ‘useful’ vehicle, a variety of electronic driver aids will be available, including Park Assist, Hill Start Assist, cornering lights, Citroen eTouch emergency call system, and even a ‘Smart Wash’ system that improves visibility when using the windscreen washers and reduces the amount of water used. 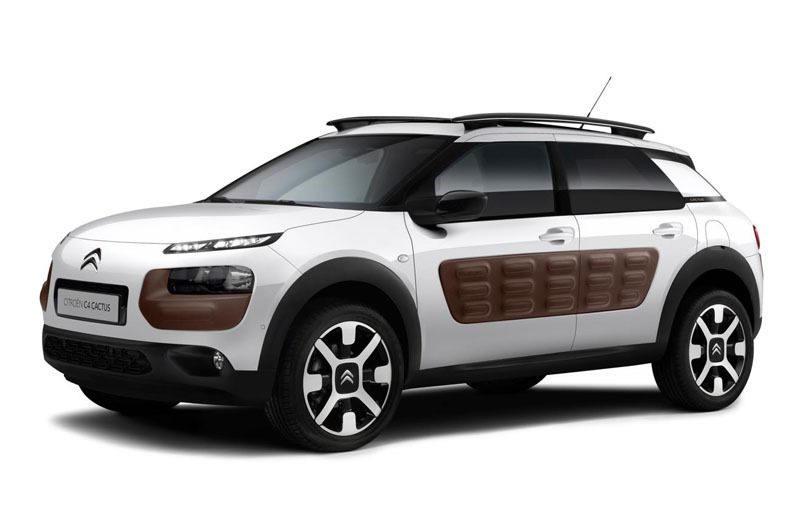 Although not officially confirmed, the C4 Cactus is expected to arrive in the UK this October, complete with a series of mobile phone-inspired price plans that include not just the purchase price, but also insurance and servicing.